The Jackson siblings released a statement Friday night saying the executors of Michael Jackson's will are harming their family. Janet, Randy and Rebbie Jackson say the executors of Michael Jackson's will are causing harm by damaging "fundamental family relationships" and isolating matriarch Katherine Jackson "from anyone questioning the validity of Michael's will." The Jackson siblings released a statement late Friday through an attorney amid a fight over their brother's will with the executors of his estate. On Thursday a judge named TJ Jackson, a cousin to Michael Jackson's three children, as co-guardian with Katherine Jackson, who was named their sole caretaker in the disputed will. 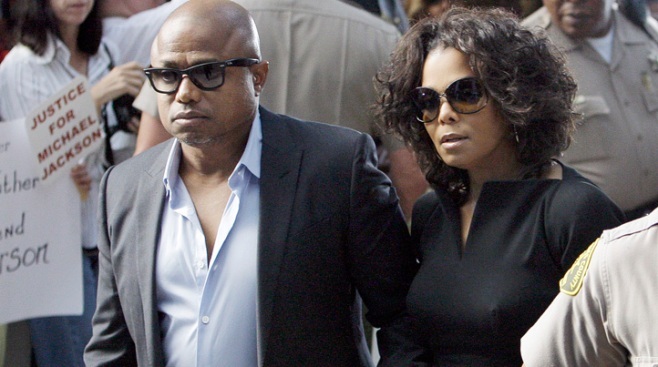 Janet, Randy and Rebbie Jackson accuse the executors of a "relentless" negative media campaign and say they have been barred from visiting their 82-year-old mother or Jackson's children. "The effect of that notice not only is to damage fundamental family relationships, it is also to isolate Katherine Jackson from anyone questioning the validity of Michael's will," reads the statement by Janet Jackson's attorney, Blair G. Brown, released on behalf of Janet, Randy and Rebbie Jackson. They say they will continue to contest Michael Jackson's will because "the executors have never explained how Michael could have signed his will in California on a date that irrefutable evidence establishes that he was in New York." Representatives for the executors of the will did not immediately respond to calls and emails requesting comment. However, representatives for executors John Branca and John McClain released a statement some weeks ago saying, "Any doubts about the validity of Michael's will and his selection of Executors were thoroughly and completely debunked two years ago when a challenge was rejected by the Los Angeles County Superior Court, the California Court of Appeals and, finally, the California Supreme Court." Janet, Randy and Rebbie Jackson say they will continue to contest Michael Jackson's will, adding, "they stand nothing to gain financially by a finding that the will is invalid." "The individuals who have the most to lose by a finding that the will is invalid are, of course, the executors and those on the executors' payroll." The siblings say they will "press forward in their search for the truth in order to carry out the wishes of their brother Michael."